The first 2 episodes were very funny, I was dying at some points. 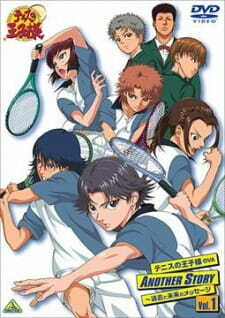 Certainly take your time to watch these side Prince of Tennis shows because they provide a lot of background history on some important characters and show how they came about. It's just as the title says "Past and Future". P.S. The OVA Bonus that has the same title as this one but with OVA Bonus on the end and only has 2 episodes is actually identical in material to this title's episodes. The OVA Bonus is actually the first 2 episodes of this title. Regardless, enjoy the content, it's great.